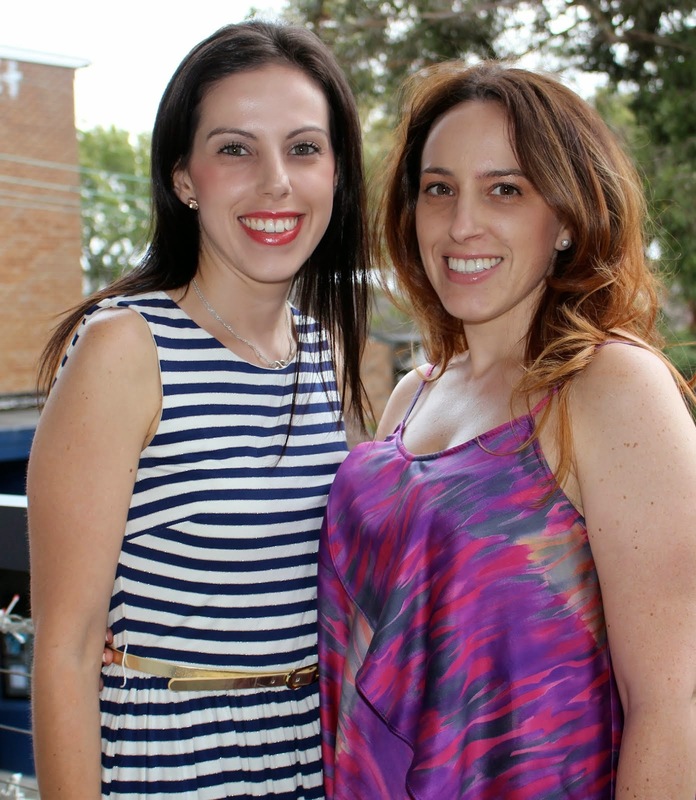 A girls day out at Hugo’s in Manly was the perfect way to catch up with my sisters. We had so much to catch up on, that our plan of attack for the day was to talk, talk, talk until we ran out of things to say to each other (it could take hours or maybe even days before we would run dry in conversation!) and eat to our hearts content. Hugo’s Manly is located on Manly Wharf, right on Sydney Harbour. The day was overcast but warm enough to sit at a table near the huge open windows, looking right onto the water. What an amazing view! We couldn’t have asked for a better location to start off our girly day. So in between our conversations that seemed to go off into tangents as we all excitedly pushed each of our stories in, and telling the waitress to come back in 5 mins (about 3 times! ), we decided to share gluten free pizzas, (even though sister number 3, Lori, is not coeliac!) a bowl of polenta chips and a nice bottle of red wine. We chose to share the Fig pizza with fresh figs, pancetta, gorgonzola, tomato & basil, the Prawn pizza with chilli prawns, roasted capsicum, tomato & salsa verde and the Lamb pizza with potato, fetta, olives, capsicum, onion & chilli. Yum, yum and yum! The pizza base is nice and thin, which made it taste like a “real pizza” – even Lori agrees! 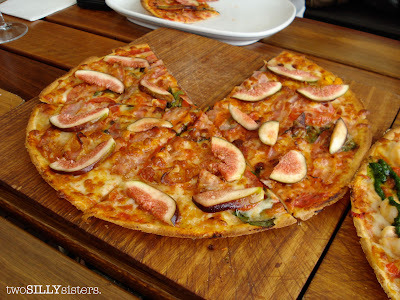 My favourite was the Fig pizza with the Prawn coming in a close second. 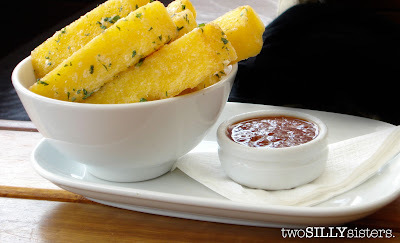 The polenta chips with truffled parmesan were heaven. They were nice thick pieces, which made them crispy on the outside and soft and smooth on the inside. They were accompanied by a condiment of red tomato salsa, but the truffled parmesan really made the dish. We enjoyed the long afternoon chatting, eating and sipping nice wine while the rest of the world went by! And then it happened, maybe it was the wine making us sleepy, but there was a small silent pause. Have we run out of things to say?? No, never! As the lights dimmed and the dinner crowd approached, we decided to move on to Lori’s place. Awaiting us at home was a marathon of the “Barefoot Contessa”. We LOVE that cooking show, so we were in heaven. As the marathon ended, we continued to sloth on the couch and decided to watch Eat Pray Love. Lori had prepared some baked chocolate mousse desserts which she topped with freshly whipped cream and some chocolate flakes. Decedent to say the least! It went down way too well, with a nice warm cup of Lady Grey tea. All in all, today was a great “girls only” kind of day and we can’t wait till next time! mmmm... Hugo's! 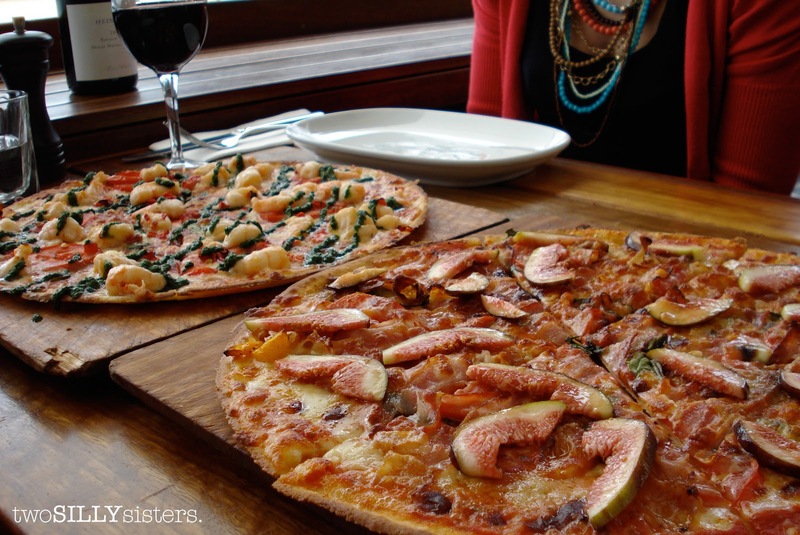 I went there last year for a friends birthday and had the pizza - so delicious. Glad you girls enjoyed it too!